The EQT-Support 93 / Berlin trainer. Photo: Overkillshop / Overkill. German operator Berliner Verkehrsbetriebe (BVG) has partnered with Adidas to release a novel new trainer. 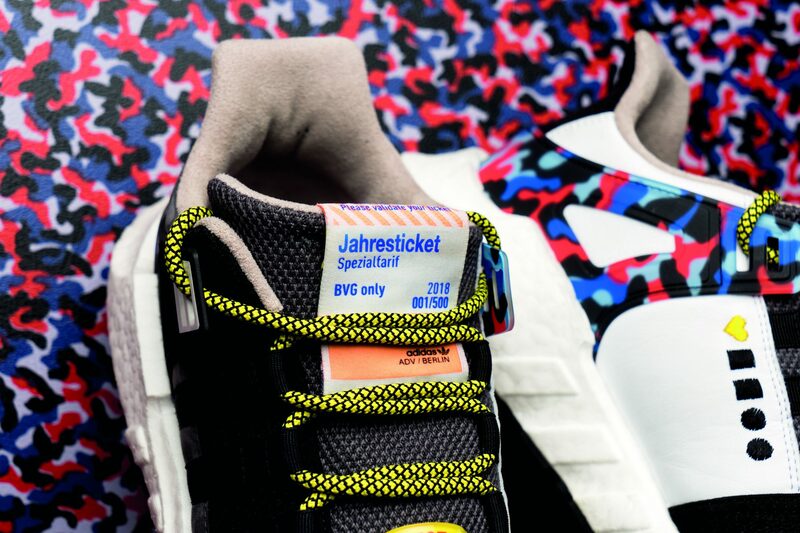 Not only does the new shoe feature the operator’s seat cover moquette, but the tongue of the trainer incorporates an annual season ticket pass – giving the wearer access to BVG’s network, including subway and tram but not DB’s S-Bahn, from January 16 to December 31, 2018, in the city of Berlin. 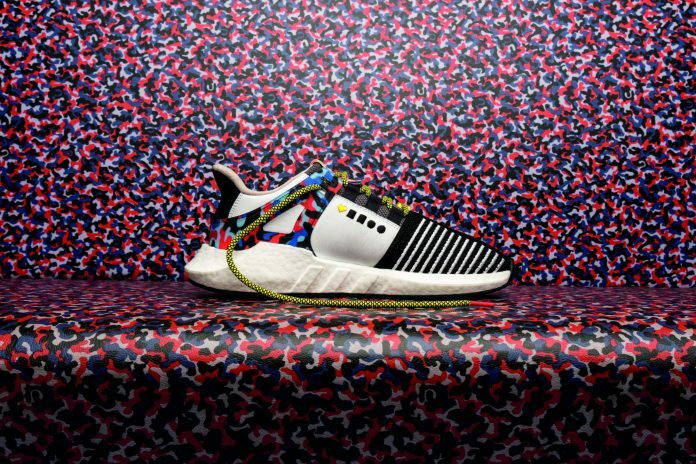 The €180 collector’s item will be limited to 500 pairs, which will be available to buy from two of Adidas’ flagship stores in the German capital from January 16. Sigrid Nikutta, chair of the management board and operations at BVG. Photo: BVG / Oliver Lang. 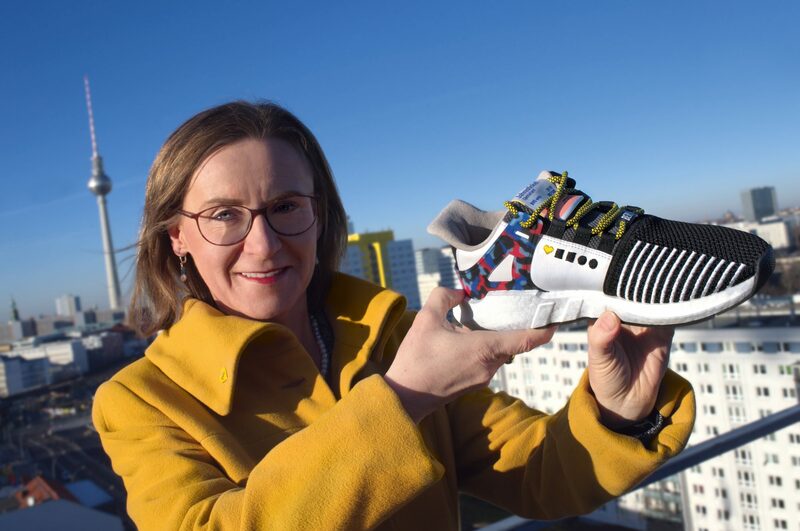 BVG CEO Sigrid Nikutta said (Translated from German): “Now there are exclusive sneakers with our popular BVG seat pattern. We are sure that this shoe is a very special highlight for Berlin. If you are lucky enough to pickup a pair, be careful not to get them punched by the conductor!